We are an oral and maxillofacial surgery office specializing in dental implants, oral pathology, removal of wisdom teeth, and the diagnosis and treatment of mouth and facial problems. Dr. Upton is board certified and licensed by the state of North Carolina to provide IV sedation. You will find our offices fully equipped with the most advanced technology. 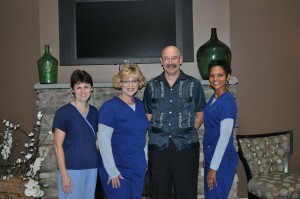 Our staff members are warm, friendly, professional, well trained, and here to help you. Our goal is to exceed your expectations in care and professionalism. In summary, we provide quality individualized care with the most advanced technology in a caring and comfortable atmosphere. We look forward to participating in your health care. The surgical staffs at Dr. Upton’s office are experienced, well trained oral and maxillofacial surgical assistants, who assist in administration of IV sedation and surgery. Providing optimal patient comfort is the primary goal of our surgical staff. CLICK HERE to contact us today and schedule an appointment.